The bedroom is the room in which the body must be allowed to recover the energy lost during the day and a place where many details must be taken care of. We spend an average of 8 hours a day in the bedroom, so it is good to take this into account. 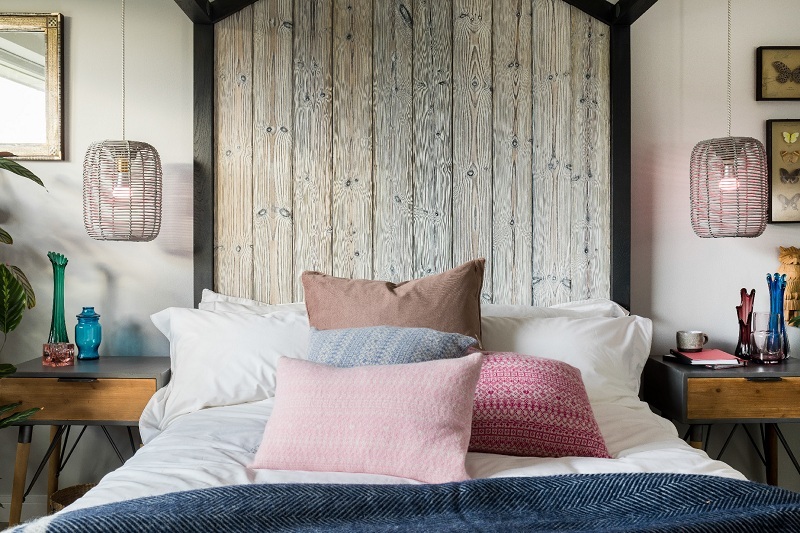 In this article, we give you some curious and surprising tips, which will allow you to turn your bedroom into a healthy and balanced space. House cleaning is essential, and we should always make it with natural products. In fact, we can clean a room with lemon, baking soda, and vinegar.However, the bedroom requires a more than exhaustive cleaning, to obtain a peaceful and restful sleep. 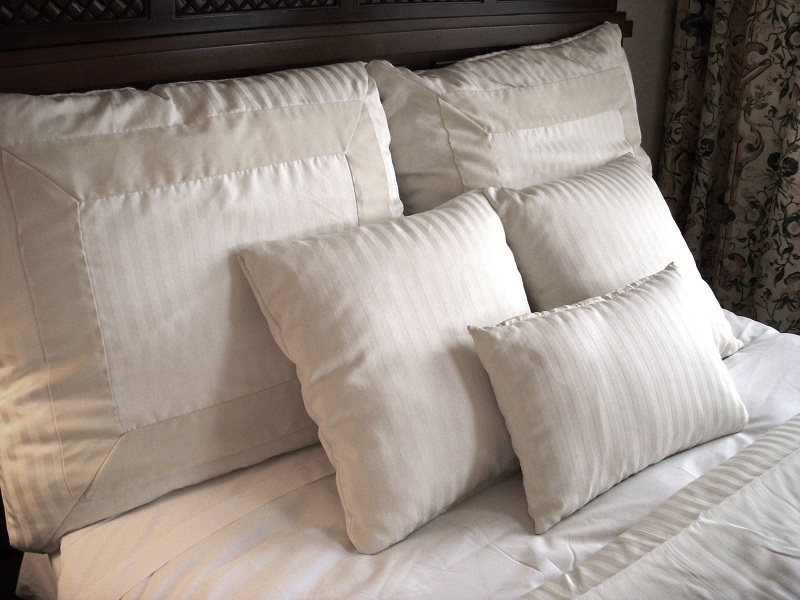 In order for the cleaning to be complete, you should know that the most humid and warm environments, such as the sheets, the quilts, the curtains, the stuffed animals, the mattress and the cushions are those in which the mites are reproduced more.To avoid them, we advise you to ventilate the room every day, letting the sun beat directly on the areas where mites could be found. If you do not have a window or your room does not have good ventilation, you can opt for a roof fan. It is a serious mistake for our health to fill the bedroom with devices such as a computer, television or landline, as these emit electromagnetic waves that negatively affect our nervous system and prevent proper rest. In the long run, they can also lead to the appearance of chronic diseases. We advise you to avoid these devices in the bedroom and to place them in the study or in other areas of the house. If they are unavoidable, unplug them during sleep hours, just like any other wireless connection you have at home. Make sure that the power outlets are not close to your head.If you suffer from insomnia or if you wake up tired, keep this in mind. Being a place of rest, you must avoid filling the bedroom with objects. Those that usually abound are furniture, paintings, and photographs, books, dolls, work tools, etc. The best thing to do is try to minimize the objects in the bedroom as much as they affect our mind before and during sleep.Make sure that the objects are not in sight; put them in boxes, in closets or under the bed. You can keep some relaxing element in sight, like a painting or a candle. You can also opt for a plant, provided it is indicated to a bedroom.One of the best options is the photos, not only because it does not need special care, but also because it cleans the air naturally. When a couple shares a bedroom, it must be taken into account that it will also be a place in which to intensify romanticism and, at the same time, avoid elements and colors that are too strong, which could make communication difficult. For the colors of the walls, we recommend white, yellow, light green or violet, while the furniture and accessories can contain details in red or pink, two passionate colors, but do not need to be abused if you want to avoid intensifying the discussions. What do you want your perfume to the room the bed? After ventilating it well every day, you can aromatize the room with natural fragrances. If you opt for aromas of natural origin, you can also benefit from their properties that can help you balance emotions. To increase libido: Ylang-ylang vanilla. To brighten up the environment: Aromas of citrus fruits, especially orange. These aromas can be diffused with candles, incense or essential oils. In the latter case, you must make sure that they are 100% natural and, if possible, organic, to guarantee you all the positive effects we have talked about. Many stores sell ready-made essences, but they are artificial and give only perfume to the rooms. Next Next post: How To Educate A Puppy Dog? Proper Path To A Wonder Bath – Remodeling A Bathroom!